The Havanese is a unique breed that began its climb to popularity just a few short years ago. Before then, they were largely unknown in the United States. Due to their unique features and the fact that we still have a lot to learn about these little dogs, it's important to work closely with your vet to find the best dog food for Havanese. The Havanese is the National Dog of Cuba and takes its name from the capital city of Havana. Only in 1996 did the American Kennel Club (AKC) recognize the Havanese as an official breed. The Havanese are a small, charming toy breed weighing about 7-13 pounds. 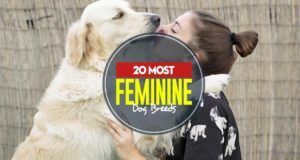 They are intelligent dogs with a long, silky, basically non-shedding coat and expressive eyes. Havanese come in 16 different coat colors and have a distinctive curved tail that cascades gorgeous wavy hair onto their back. They are very social dogs that don’t require a lot of exercise, making them the perfect companion for retirees and busy families alike. A generally healthy breed, the Havanese is a long-lived dog, averaging 14-16 years. * Click on the Havanese dog food for more information and prices or scroll down below for more details. I'll discuss these food choices in detail in just a minute. As I mentioned, there are a few health conditions that can be directly impacted by diet. 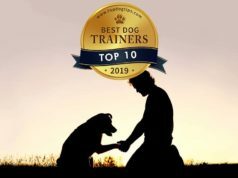 This is why it is so important to work with your veterinarian or a trained canine nutritionist when choosing the best dog food for Havanese that will meet your pet's unique nutritional needs. The Havanese is one of the few small breeds that can develop hip dysplasia. Hip dysplasia is a developmental disease of the hips, which can lead to painful arthritis and loss of function. Hip dysplasia is caused by a combination of factors, including genetics and nutrition. It is best to seek out a reputable breeder that has its breeding stock “hip certified” using the PennHip method. Be mindful though, even with parents that have ‘certified hips’ some Havanese can still develop some degree of hip dysplasia. While there is a genetic component to this disease, there are significant nutritional risk factors that play a part during puppyhood. These risk factors are rapid growth and excess dietary calcium intake. For Havanese puppies, it is essential to not over-feed and to feed a breed-appropriate food. When discussing the best dog food for Havanese puppies with my clients, I usually recommend Eukanuba Puppy Growth Formula. Eukanuba is a top-tier pet food company that provides exceptional nutrition and good value. Their Puppy Growth formula is recommended for medium-breed dogs and has good ingredients to support proper joint growth. While the Havanese is a small breed, this food isn’t nearly as calorie-packed as small-breed specific formulas out there. It is best to feed your Havanese puppy at the lower end of the daily ration feeding recommendation to prevent over-feeding. From ages 8 weeks to 1 year of age, your puppy should have frequent visits to the veterinarian for vaccinations and sterilization surgery. During these visits, ask your vet to help determine if your puppy is growing properly and assess body condition score. I s your Havanese puppy a picky eater? If so, don’t give in and feed table food. Instead, reach for a tasty, easy to chew formula like Natural Balance Original Ultra Chicken, Duck and Brown Rice Puppy Canned. Natural Balance has created a tasty, ‘gourmet’ formula for puppies and picky eaters tend to enjoy every morsel. It contains a proper ratio of calcium and phosphorus to promote normal bone and joint growth, plus a unique ingredient – colostrum. Colostrum is the first milk that a puppy receives from its mother. This ingredient may increase the palatability of the food and may give a boost to the immune system. Havanese dogs become adults at 10-12 months of age. Around this time, many tend to mellow out and become less active, but there are those individuals that retain their puppy-like character for many years to come. It is best to transition your puppy to the best dog food for Havanese adults slowly. When you change the food, even if you stick with the same brand, it is necessary to mix them together in order to lessen tummy troubles. Mix the food 20% old food, 80% new food for 2-3 days, then by day 5, go to a 50%/50% mix. By day 7, your puppy should be eating 100% new food. It is best to keep all your Havanese’s body systems supported throughout their life. Their small size and low to medium activity level make the Havanese an ever-popular apartment dog. If you enjoy an urban lifestyle with your fur baby, consider feeding Royal Canin Urban Life Adult Canned Formula. You may be thinking, what exactly is an “urban” dog food? The great minds at Royal Canin have developed this formula with certain characteristics in mind to optimize your pet’s life in an urban setting. Apartments are small, sometimes ‘doing their business’ involves a puppy pad or newspaper and smell must be kept to a minimum. Your dog will also be exposed to more environmental stressors such as car exhaust, noise and excitement. This food is a tasty pate wet formula with special, highly digestible proteins and prebiotics that promote solid, consistent stool quality – easier to clean up and less smell. Antioxidants from marigold extract and omega-3 fatty acids from fish help your dog to help his body repair from the stresses of modern urban life. If you can’t find Royal Canin, or if your dog prefers a crunchy food, look no further than the next best dog food for Havanese on my list. Iams ProActive Health Small and Toy Breed Adult is a great choice for owners looking for a dry kibble. Iams is manufactured by the same company as Eukanuba and is often considered a more affordable, yet quality alternative to Eukanuba. This adult small breed food is crafted with tiny, oval-shaped kibble that is easy for small mouths to pick up and chew. It is fortified with L-carnitine, a compound which helps the body maintain a healthy weight. Prebiotics and healthy fiber from beets helps ensure proper, efficient digestion. Havanese puppies with hip dysplasia grow up into adults with hip dysplasia. If your Havanese has been diagnosed with hip dysplasia as an adult, it is important to support those hips as much as possible with the best dog food for Havanese that caters to these individual needs. Havanese dogs are prone to joint issues in early adulthood, specifically kneecap problems. Also known as “floating kneecaps” or patellar luxation, Havanese dogs can develop early arthritis pain and difficulty walking. Mild and moderate forms of this condition can be helped by maintaining a healthy to thinner body condition and nutritional support. Even if your Havanese must take pain medication for advanced arthritis, diet can make a big difference in their quality of life. If your adult or senior Havanese has a specific joint issue, or limps from time to time, talk to your veterinarian about a prescription diet. Hill’s Prescription Diet Joint Care j/d Small Bites is a great choice. Hill’s has created a fantastic diet for toy and small breed dogs that suffer from joint diseases. Its small kibble size is easy to pick up and chew, and its nutrition is complete for adults over 1 year of age. Natural anti-inflammatories from fish oil (omega-3 essential fatty acids), glucosamine and chondroitin sulfate will help your dog to walk, run, and jump more easily within 21 days (according to Hill’s). Veterinarians have stood behind this formula for many years and have seen it improve lives first-hand. Another wonderful effect of this food is an improvement your Havanese’s coat. High levels of omega-3 fatty acids in the diet are not only good for joint health – it also promotes silky, strong hair. Some Havanese dogs suffer from itchy skin stemming from allergies. The majority of these dogs are often allergic to things in the environment such as pollen, mold or dust mite dander. However, some can have food allergies. While it is not a hypoallergenic diet, this best dog food for Havanese may help reduce your pup’s symptoms and promote healthy skin. Natural Balance Limited Ingredient Sweet Potato and Fish Canned Formula is my recommendation for Havanese suffering with itchy skin due to food allergies. Natural Balance’s Limited Ingredient diet helps to eliminate more common allergens from your dog’s diet. While it is not a true “hypoallergenic” or “novel” diet like those that are used for allergen food trials, it can make a big difference for some allergy sufferers. Omega-3 fatty acid-rich fish and fiber-packed sweet potato are tasty and nutritious. Havanese dogs become seniors around 8-10 years of age. Many are quite healthy and only require a maintenance diet for success, while others may have to continue on a prescription or specialty diet. Havanese dogs can easily live for 15-16 years. It is important that we give them the best that we can, for as long as we can. In my opinion, the best dog food for Havanese in their senior years comes from Royal Canin. Royal Canin Mini Aging 12+ Formula is a specifically formulated diet for dogs over 12 years of age. Royal Canin has put some serious time and research into creating this formula. It has all the characteristics to support an aging Havanese – from its unique “donut-shaped” kibble to its ingredients. The flat, disc-shaped kibble is thin and crispy (making it easy to chew) and has a small hole in the middle (making it easier to digest if swallowed whole). Brain health is incredibly important in this age group, as “doggy dementia” (cognitive dysfunction) can set in. Anxiety-related behaviors and aggression can be seen in senior dogs with cognitive dysfunction. A small study in Japan showed that dogs that ate a diet supplemented with l-tryptophan (a precursor to brain hormone serotonin) had improved behavior scores than dogs on a control diet that had similar anxiety issues. Royal Canin’s 12+ formula provides brain health-boosting antioxidants such as marigold extract, tea, tomato, fish oil, and amino acid L-tryptophan. If your senior Havanese has dental issues or has become a picky eater – don’t despair! He can still enjoy the health-supporting benefits of Royal Canin’s mature formula in a tasty, easy to eat canned preparation. 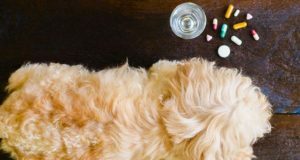 Each dog is a unique individual and dog foods are not “one size fits all.” If you have concerns about your Havanese’s health or nutrition, be sure to consult with his veterinarian. Remember not to switch your pet to a new diet without consulting with your veterinarian first. No matter which best dog food for Havanese you choose, you need to be sure that it will meet your dog's unique nutritional needs. READ NEXT: What Dog Food Is Good for Dogs and Why?